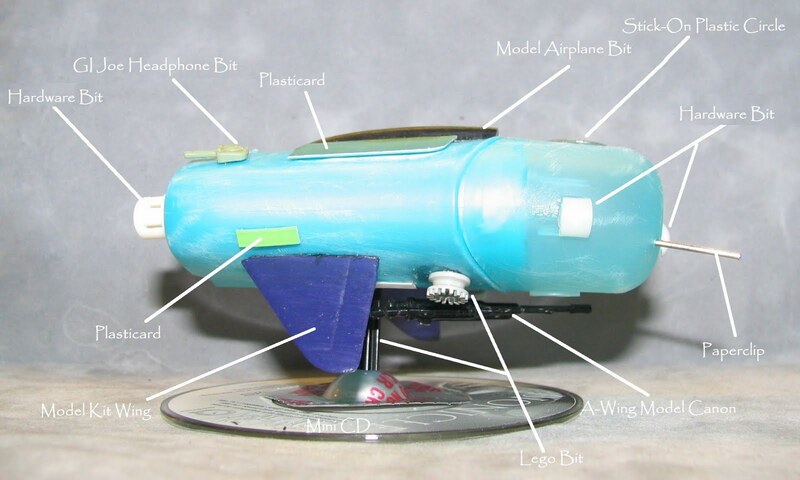 I've built a Yiksossi Reiver raiding skimmer for use with 28-30mm miniatures. The Yiksossi are interplanetary raiders/nomads with little to no manufacturing capabilities of their own. 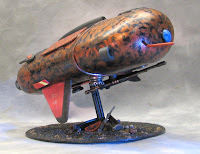 Their vehicles have passed down from antiquity and are upgraded with whatever can be found as they move from planet to planet. 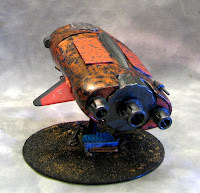 Thus no two Reiver skimmers are exactly the same . Most have a 3-man crew with the capacity to carry 4-6 warriors. Their main tactic is to quickly deliver warriors to the target area then circle the target area providing heavy weapon support. 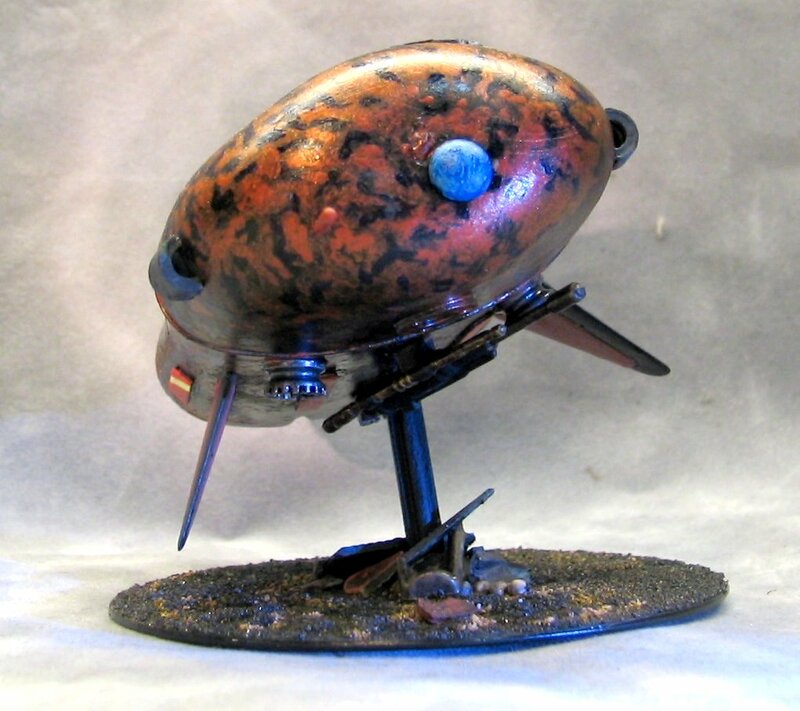 A Reiver can reach ground speeds up to 35 leagues an hour and up to 40 leagues over water. This Reiver is armed with an underbelly turbolaser/electrocannon turret and dual plasma projectors. 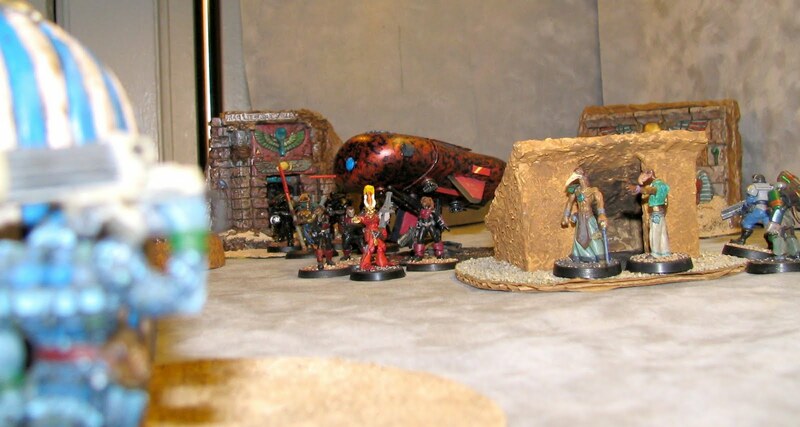 With the recent Yiksossi acquisition of the Pharaonic Throne of Aegypton V Reivers have been found on patrols to root out the rebel Asessors and their followers. The Reivers’ initial success against the rebels has met with setbacks due to the rebels recruiting many of the escaped SCARAB AI defense vehicles that were slated for destruction. Once the SCARAB is done I'll get pics of these two vehicles battling it out.